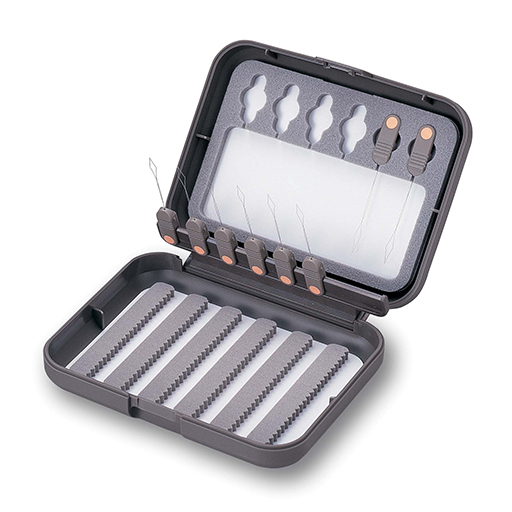 These C&F Design fly box is designed for fly sizes 12 - 20. 8 threaders are included with storage for a further 6 threaders. 6 rows of slit-foam in the base hold up to 138 flies.